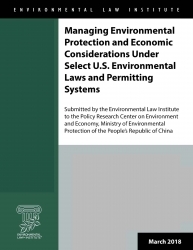 In response to growing concerns over increased air and water pollution, by the early 1970s the United States Congress had begun enacting a series of statutes that continue to shape environmental law today, more than four decades later. The laws authorize federal agencies to regulate air quality, water quality, the management and disposal of solid and hazardous wastes; and to protect threatened or endangered species of plants and animals. Congress, in enacting these environmental laws, knew that it was imposing significant compliance costs on regulated sectors of the economy. In some instances, Congress allowed the regulating agency to consider economic feasibility; in other cases, economic costs are not to be considered at all. 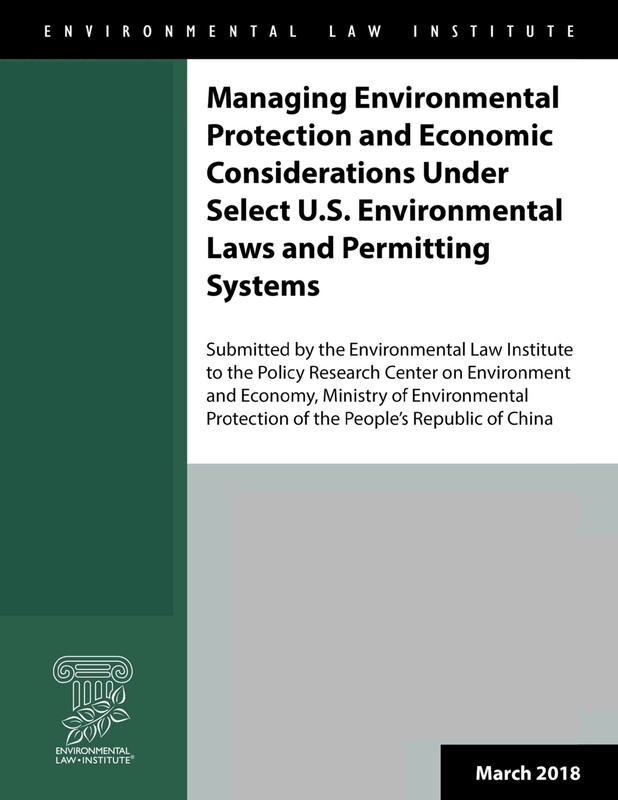 This report analyzes how the United States has balanced economic considerations and environmental protection through the lens of arguably the four most significant environmental statutes applicable to private actions: (i) the Clean Air Act; (ii) the Clean Water Act; (iii) the Resource Conservation and Recovery Act; and (iv) the Endangered Species Act.